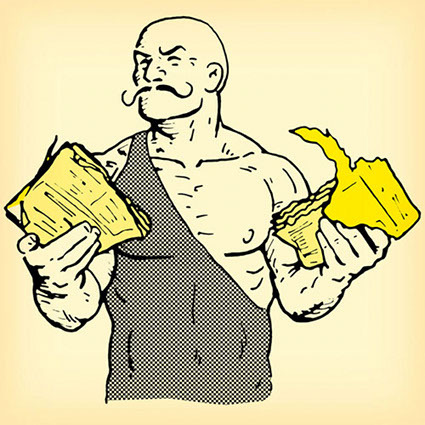 Time was when people would demonstrate massive feats of strength by tearing yellow pages or other phone directories in half. The one that was delivered to my home last week practically fell apart in my hands as I picked it up. It’s about A5 size, and fewer than 250 pages – a far cry from the A4 multi-thousand page Domesday Book of listings and ads for drain de-blockers, double glazing companies and DIY merchants. Yellow Pages did try and fight back, rebranding themselves online as Yell, and Hibu for business, but even that has never really got anywhere, and is steadily losing ground. About 18 months ago I had a visit from a very nice Hibu salesman, but even he had to concede that the marketing plan he was offering was essentially hopeless – there were simply no searches for what I did on the site. Taxis have gone completely. Which seems surprising. No copywriters or any other writers. There always used to be a quite a few listed. Plumbers, electricians and other tradespeople are still there, although just a few, and mostly the big boys. They do classified listings for the likes of supermarkets, clothes shops, doctors and dentists. However no restaurants, and just a couple of takeaways, although for some bizarre reason they seem to list every single café. The biggest listing seems to be for charity shops. Rather like when a high street becomes run down and is full of these kinds of shops and not much else. It’s inevitable, but sad in a way. At least in those days you would always have a free classified listing whatever you did, which could get you a few local enquiries. Nowadays, even if your business is mainly about serving local people, it’s hard to get noticed at all if you’re not on the first page of Google, the Holy Grail of listings today. Mind you, even if you use a bit of ingenuity and hard work, it’s getting very difficult to even get a natural listing on page one, let alone enquiries from it. For one thing, Google are making their paid ads practically indistinguishable from the natural listings. For another, they’re rewarding those with the deepest pockets with the best rankings for most natural searches too, so it’s getting harder and harder for small businesses to compete. So will I shed tears for Yellow Pages? Yes, a few. But not too much – there’s not many of those tissue-thin pages left with which to dry my eyes. This entry was posted in Parallels in writing and tagged yellow pages demise. Bookmark the permalink.